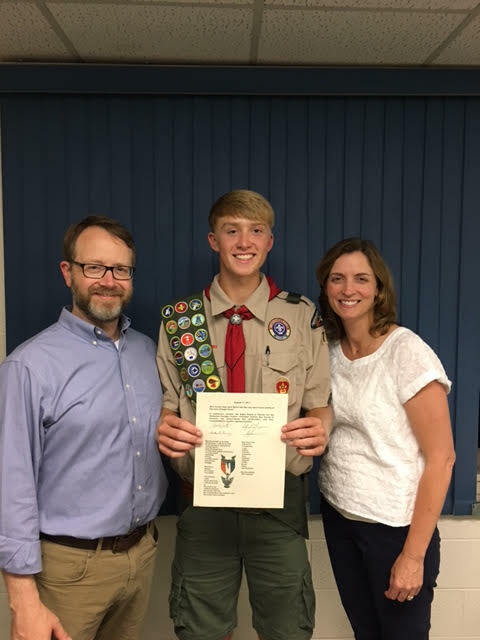 Please join me in congratulating Troop 7′s newest eagle Jack Byrne and also his parents. Congratulations to you, your parents and family for all the effort, hard work and dedication. Congratulations, Jack, on an outstanding accomplishment! Congratulations Jack and family on a job well done! This entry was posted in Eagle Scouts, Troop News. Bookmark the permalink.